The Elder Scrolls IV: Oblivion was famous for two things: wide open spaces and ugly people. Looks like the upcoming sequel has fixed the ugly people part. 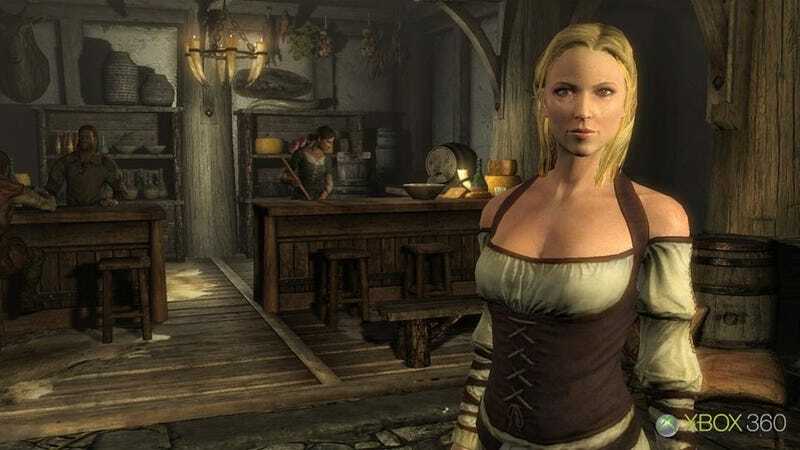 Yes, while the limitations of the old Gamebryo engine resulted in Oblivion being full of gnomes with plastic faces, Elder Scrolls V: Skyrim's new engine is capable of creating actual human faces. And as you can see above, rather attractive ones at that. This screenshot is part of a batch available over on the official Xbox 360 magazine's website. If you've read the last issue of Game Informer magazine you've likely seen them, but if you only read things on the internet, this will be the first time you've seen them as nature intended! The Elder Scrolls V: Skyrim is a massive adventure and RPG game due out in November on PC, Xbox 360 and PS3. Many people are excited about it. Some exceedingly so.